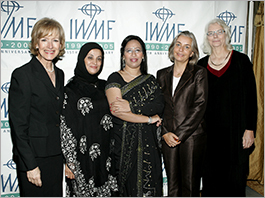 On October 23, 2005, Anja Niedringhaus (1965-2014) accepted the IWMF Courage in Journalism Award at a ceremony in New York. The Award was presented by American broadcast legend Bob Schieffer. 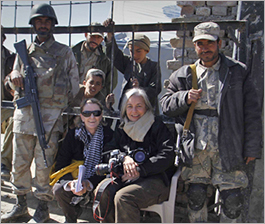 In 2012, Niedringhaus and her AP colleague Kathy Gannon set out together to document the war in Afghanistan from a different perspective – a perspective that would would lead them into the mountains of Eastern Afghanistan. Arranged by the Afghan Ministry of Defense, Niedringhaus and Gannon became the first foreign journalists to embed with the Afghan National Army. After they returned, the two Courage Award winners shared their experiences and explained what compels them to continue their dangerous work in this exclusive interview with the IWMF. 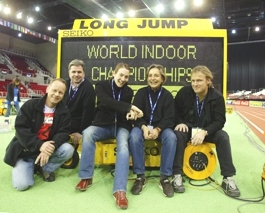 She was born on October 12, 1965, in Hoexter, Germany. She died on April 4, 2014, when an Afghan policeman opened fire while she was sitting in a car with AP reporter Kathy Gannon in eastern Afghanistan. 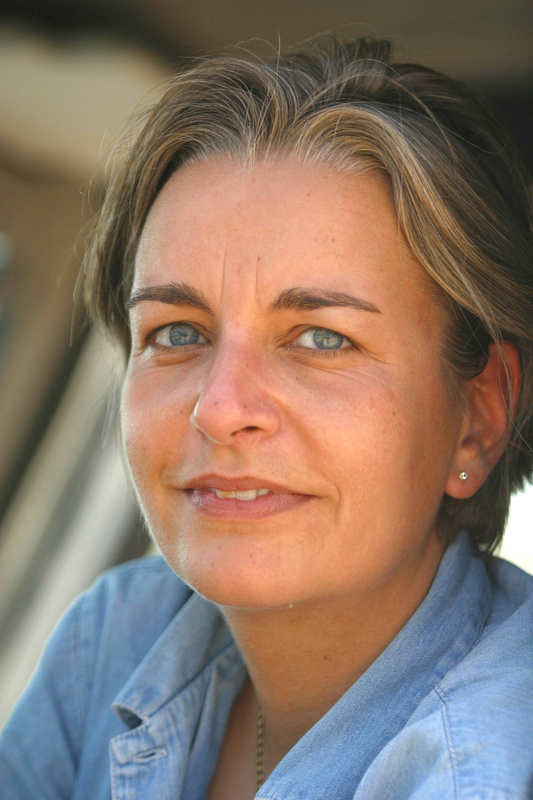 Anja Niedringhaus is the first Courage in Journalism Award winner from Germany.